Jonas. If the world had a few more like him just maybe there would be more kindness, less wars, and a thoughtful appreciation for what we have. This is one of those stories that will touch you in different ways at different stages of your life. One of the best things you can do is a writer is to surprise your readers. 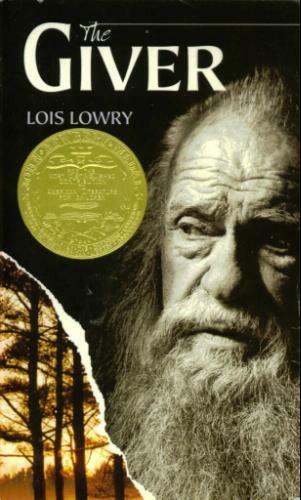 Lois Lowry does that numerous times making this a page turning experience. It’s hard to put down. Early on you can probably guess the decision Jonas will make. It’s the mark of a superb writer that we get there in such unexpected ways. Rich discussions can take place with this tale. Was the ending what you expected? Could our present culture benefit from any of the characteristics of this dystopian society? What is the most valuable gift in life? How important is individualism? The ending can be interpreted in two different ways: Pessimism or Optimism. No matter which you choose as a reader there will still be a sense that the characters reached a stage of happiness they had never known before. I know we get more of an answer in book three, THE MESSENGER, but for now my vote is for an optimistic future for the main characters. For the first time, he heard something that he knew to be music. He heard people singing. 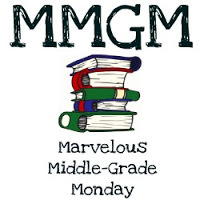 This entry was posted in Reviews and tagged LOis Lowry, Middle grade, Middle Grade Book Reviews, The Giver, The Giver Movie. Bookmark the permalink. One of my favorite books of all time. I first read it around 1995, and I read it again about two years ago, and loved it just as much. Yes, the ending’s ambiguous, but I prefer novels that leave something up to the reader. Hah! You did exactly what I want to do this week…reread The Giver. On the ending I was and always have been on the “starting a new life” thought. Having said that I love the ambiguous nature of it and have had young patrons who do as well. And, ones who hate it, lol! This is a great idea. I need to reread this too. I loved it when I first read it in the 90s, and it’s one my son enjoyed too. I don’t understand what the problem with the ending is…I thought it fit perfectly with the novel. I haven’t read this for years. I do want to see the new movie. Maybe I’ll see the movie first and then reread the book. Thanks for your thoughts. I have to read this–never did, always wanted to!